Feeling happy as Camille heading into Labor Day weekend! Summer has been nothing short of beautiful, and it’s always a bitter sweet goodbye, but with it comes the exciting, motivating, inspiring start of a new season. Oh, and if you’re not familiar with our friend Camille, she is an incredible chef at her newest (and very popular-for-good-reason) venture, De Maria. 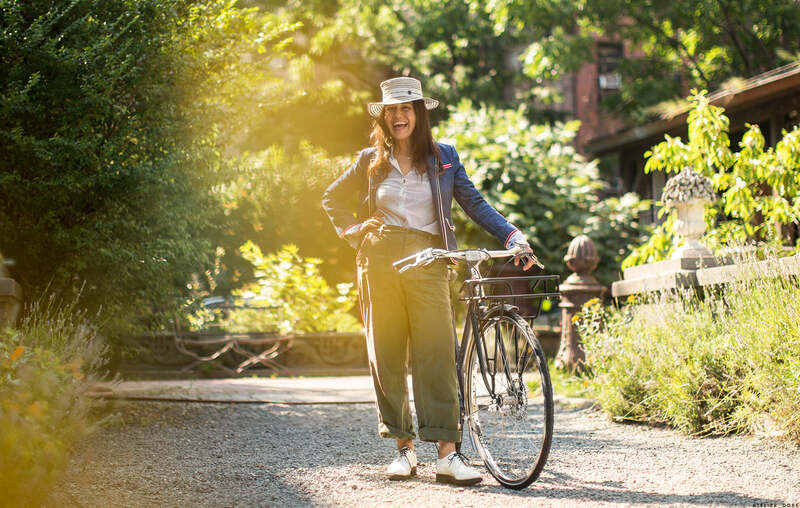 Her signature style typically includes a great hat, some great pants, and her Shinola bike – so fun and functional! Darlings , to have a personal style that includes a bicycle is unique , and unique is the point of a signature style . Although saying goodbye to summer is hard , welcome to sweaters , scarves and coats !